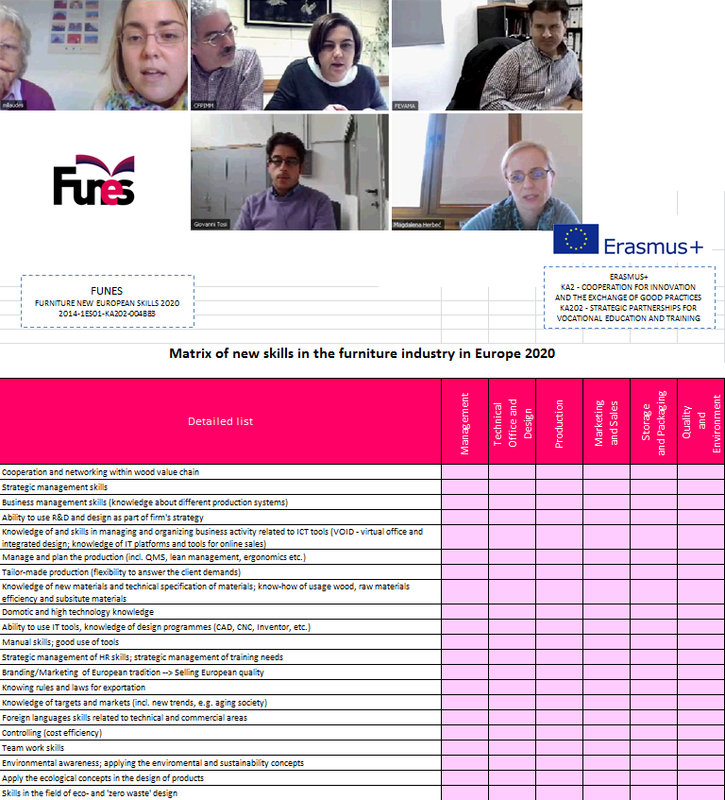 On April 27th and 28th, FUNES project consortium has passed the halfway point of the project and is focused on completing the course methodology to develop and beginning to advance and evolve the training course content that will focus on FUrniture NEw Skills on the Europe 2020. 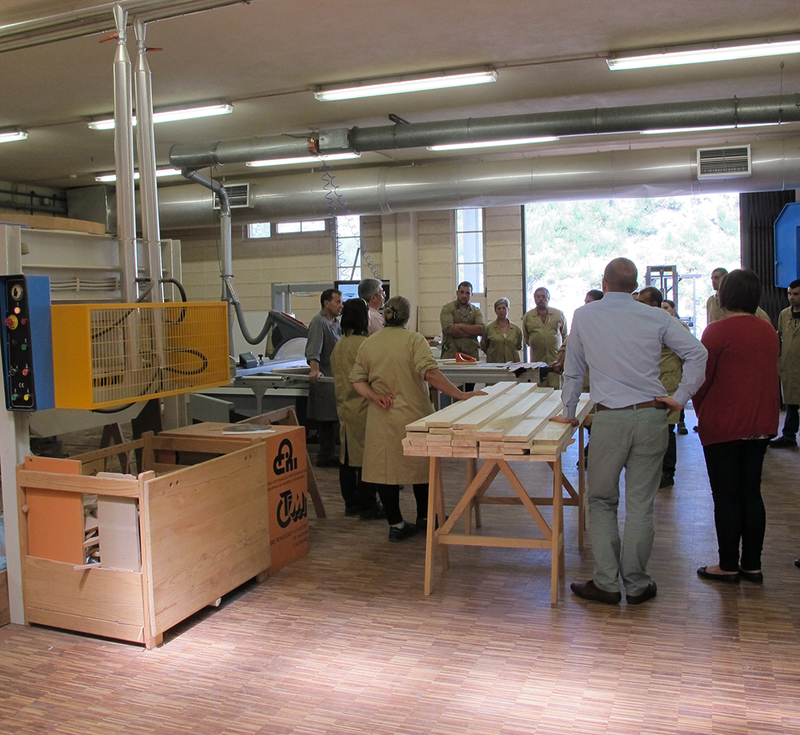 The meeting is being held in the premises of COSMOB, the specialized centre for the wood and furniture industry of the Marche region, Italy. 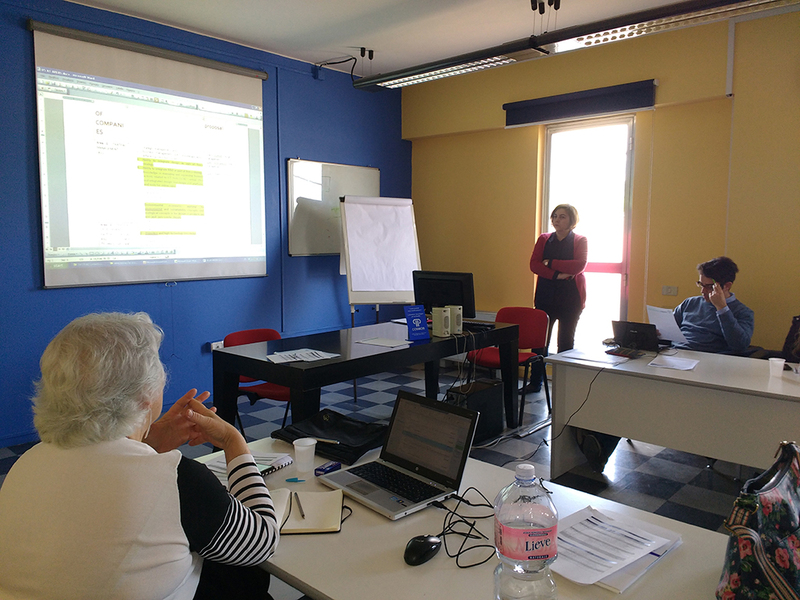 FUNES initiative team is presenting successfully its IO4 results in a Multiplier Event. 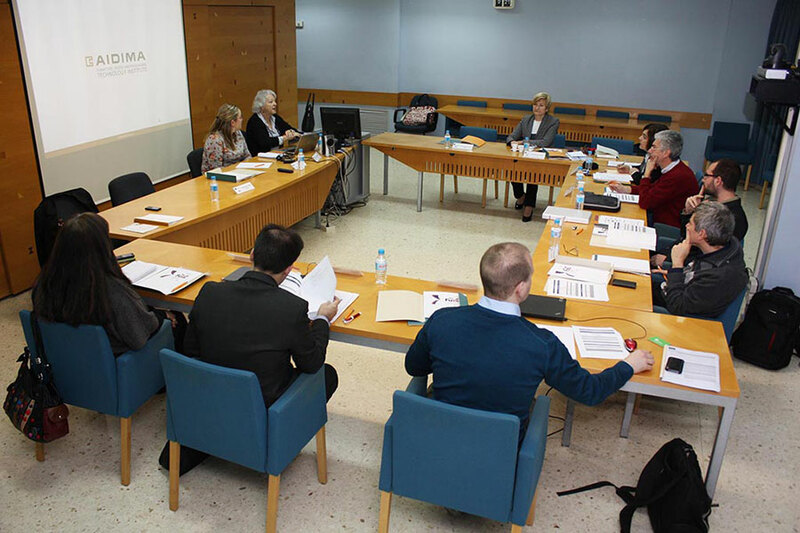 European stakeholders and European Commission representatives from the DG Enterprise and Industry, Unit of Raw Materials, Metals, Minerals, and FBI are participating. 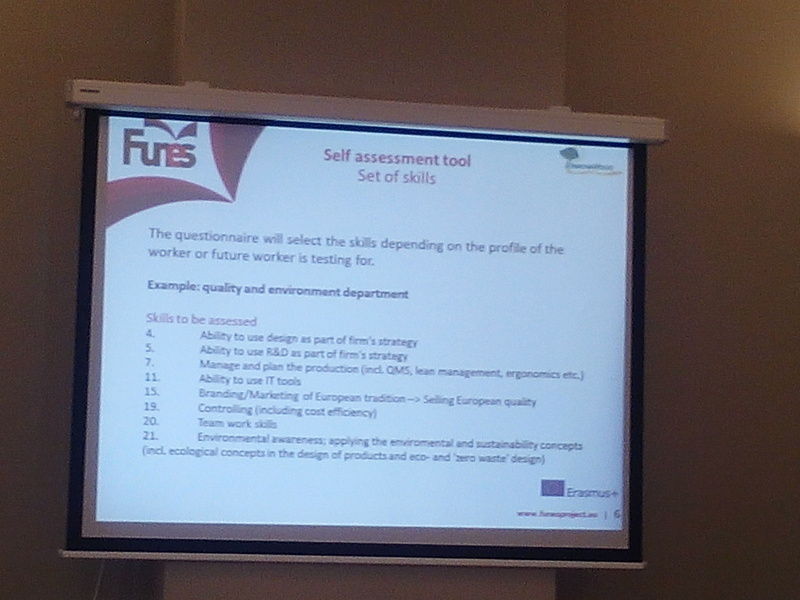 During this month, FUNES is working on the first activity of the third Intellectual Product "O3-A1 Analysis of companies versus scenarios", which is an enabling activity to finish this product, , with the Definition of New Skills, that will be fully defined at the next meeting of the consortium in Poznan (Poland). 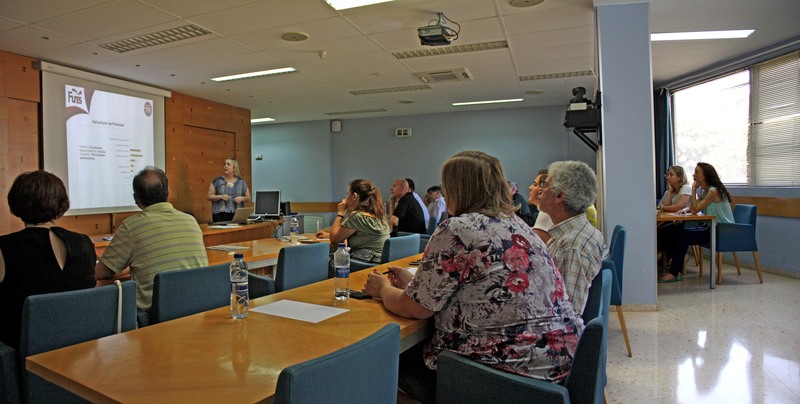 On September 2015, 16 th and 17 th it is going to be held the 3rd meeting of the project in the Instytut Technologii Drewna in Poznan (Poland). At this next meeting, it will be determined the skills that the human capital of the companies must acquire in the furniture sector to encompass this situation successfully. 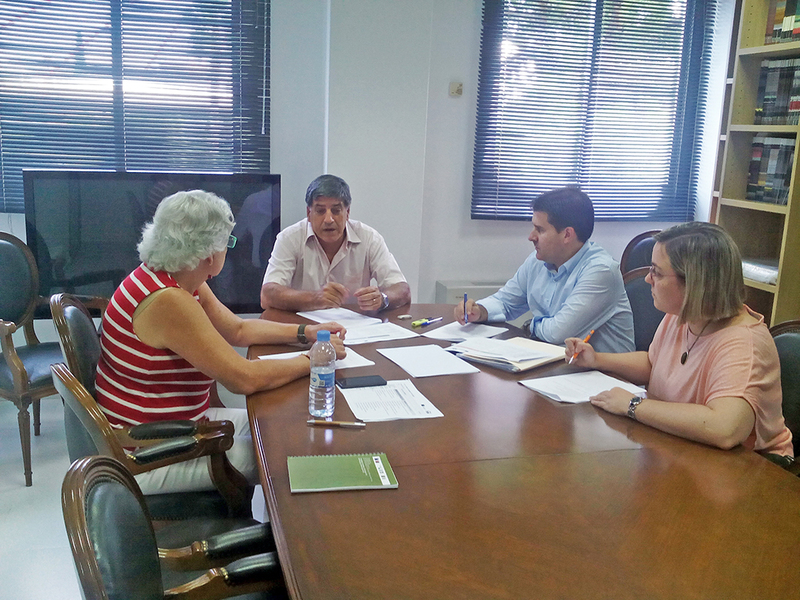 On May 2015, 25th and 26th it was held in Lordelo (Portugal) in the CFPIMM (Centre of Formação Profissional Das Industrias Da Madeira E furniture) the second meeting of the project. During this meeting, information from each of the countries has been gathered. 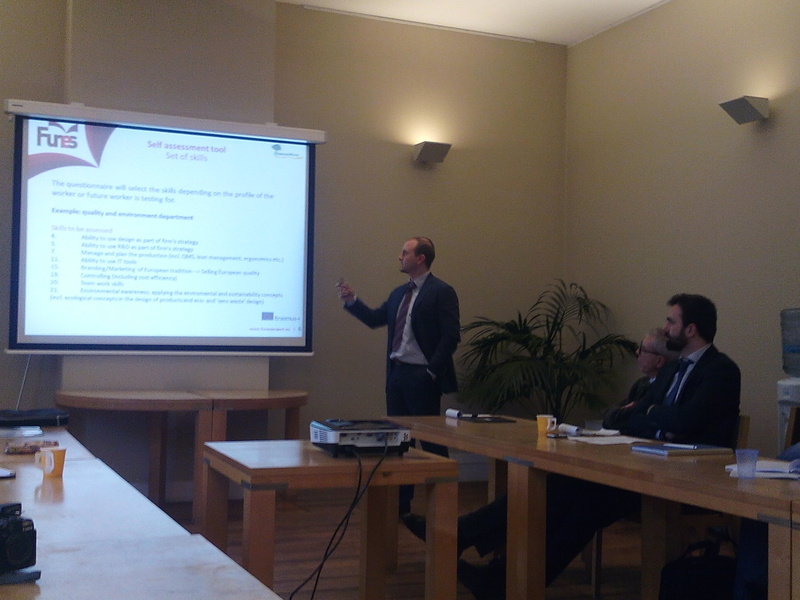 Due to the complicated situation that is experiencing the furniture sector in each of the countries of the partners, it has been a hard task to obtain these data since the recession has caused great changes. 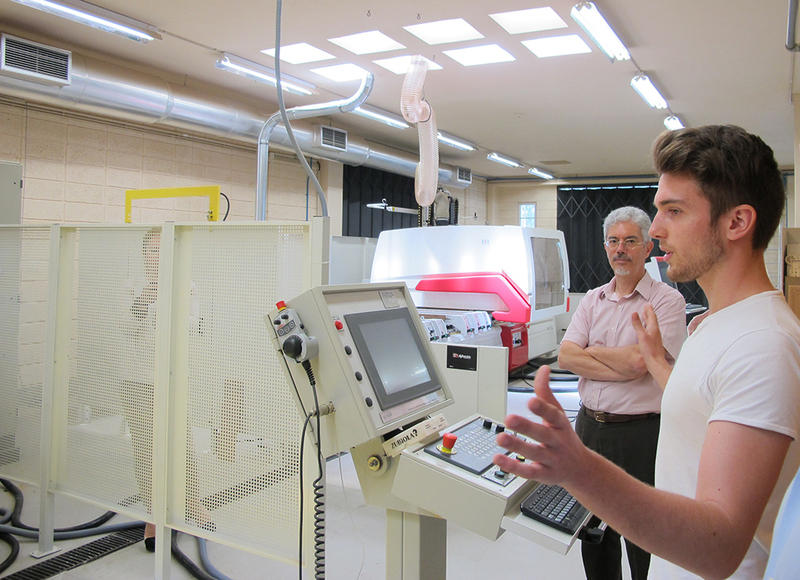 This analysis has been completed with the document: O1-A3, "Mapping the furniture industry", which puts an end to the first Intellectual Output O1 and all its activities. 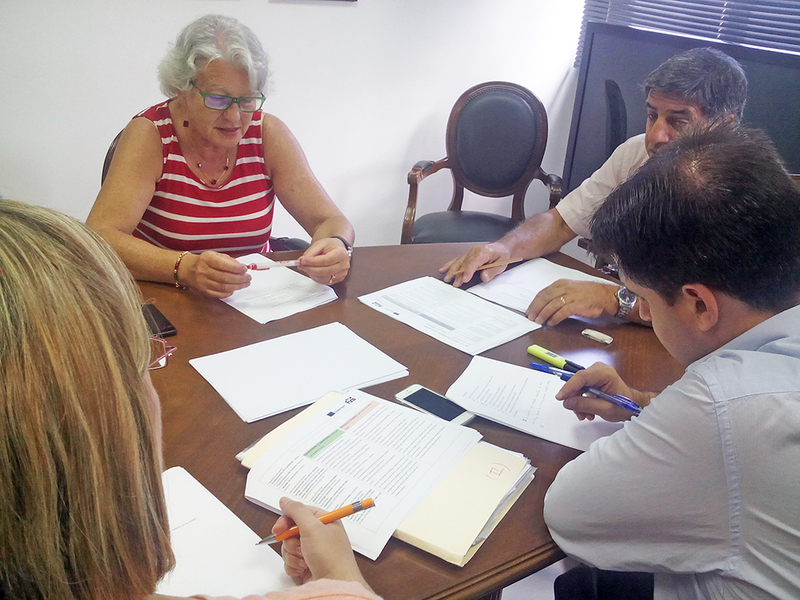 In addition, another of the activities developed in the meeting has been defining the future scenario of reference that will influence on the determination of the skills of workers in the furniture sector. 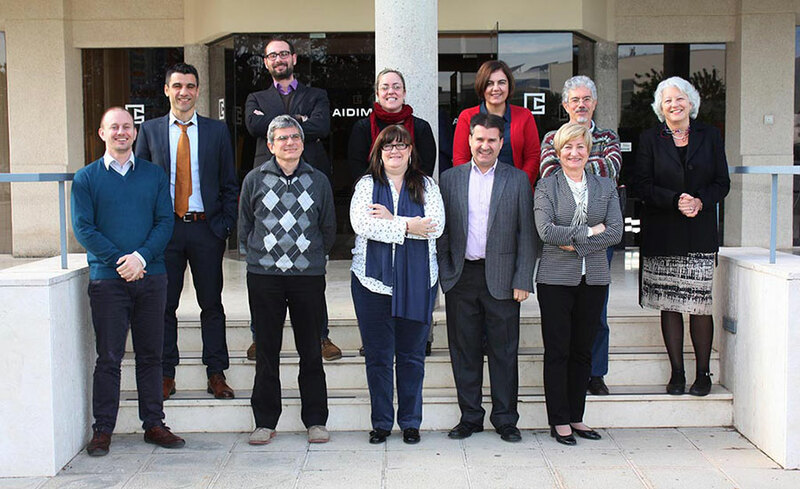 It was held the 3rd and 4th November 2014 at the premises of AIDIMA (Spain). 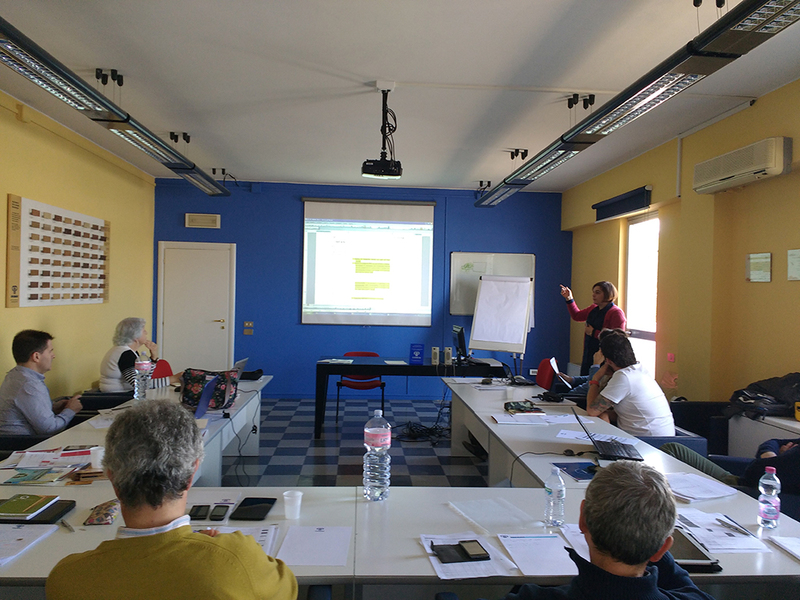 The coordinator explained to all the members of the group the indications from the Spanish National Agency (SEPIE), drafted the Partners Agreement and learned the key facts and activities to overcome in the following months.